Junípero Serra was a Spanish Friar (you can tell by the haircut) who established the first California missions. 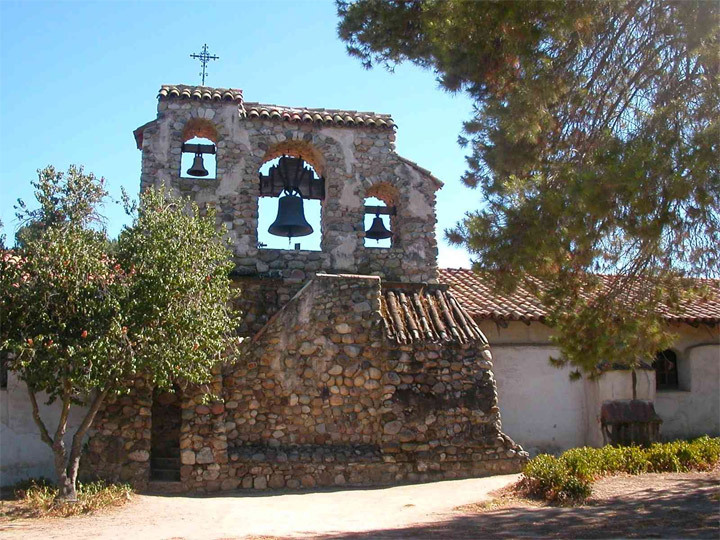 The missions are nice places to visit if you like California history and looking at “historical” things that were almost completely rebuilt in the 20th century from the remnants of crumbling piles of adobe and rotten wood. Personally I do like those kinds of things, so I’ve been to a lot of the missions. If you think your life is tough, go to one of the missions that’s out in the middle of nowhere and imagine living there, with those resources and meager comforts. The people who settled the West were some badasses. So, I’m sitting here at the kitchen table listening to KPCC, the local public radio station, and of course they are talking about the fires that are burning down half the county. At about 10:40 they had a conversation with Los Angeles Mayor Antonio Villaraigosa. Someone asked me why I write such angry things about Christians. I’ll answer here, so everyone can point and laugh in one convenient location. I don’t have a problem with Christians. I don’t really care about them. They never cross my mind, honestly, you know, with the exception of the times when one of them says something profoundly idiotic, which is just about every four seconds. The rapture, in case you didn’t know, is when JESUS comes and takes all the boys and girls who have behaved and eaten their vegetables up to heaven to prance around forever in white robes and watch the rest of us suffer an eternity under the thumb of the beast SATAN. I don’t pray. Kneeling bags my nylons. 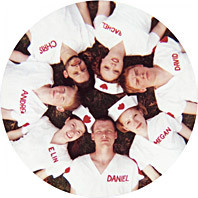 I saw a really interesting documentary called, Danielson: A Family Movie, and it got me thinking about a lot of things. Mainly about why so many “Christian” performers feel compelled to sing about the blood of Jesus in every song. As if a song that fails to mention Jesus a dozen times is some kind of one-way ticket to HELL. Cat Stevens, aka Yusuf Islam, is on NRP tonight singing old and new songs and I am a little shocked by the whole thing. I had no idea he was recording new music. Last I heard he had denounced his own work as trivial and not in keeping with what Mohammed wanted him to do. He asked the record company that sold his music to stop, which they didn’t, of course, being very non-Mohammedian capitalists. 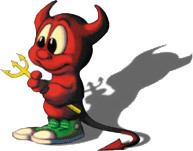 In a move of disappointing and confounding stupidity, recklessness, cowardice and avarice the FreeBSD team has announced a competition to design a new logo/mascot to replace the FreeBSD demon/daemon. First off, I’m sure 99.9% of you are wondering, “Uh, what the hell is FreeBSD?” Fair enough. It’s a computer operating system, like Windows or Linux. I’m sure you’ve heard of those. It runs on about half the world’s web servers, and even under the hood of your pretty Mac, if you have OS X.
I posted a laundry list of hypocritical carryings-on by so called “moral leaders” a couple weeks ago, but it neglected to include one of America’s most notable rabid right-wing morality and family values blabbermouths: “Doctor” Laura Schlessinger!